Supersedes & replaces both Cleanserv 50 & 100. Compact vacuum cleaner for commercial use in offices, hotels etc. Low noise development and Hepa filter (option) make the VD5 ideal for use inhospitals and noise-sensitive areas. Extremely manoeuvrable, sturdy and quiet as a result of specially coated wheels and low weight. 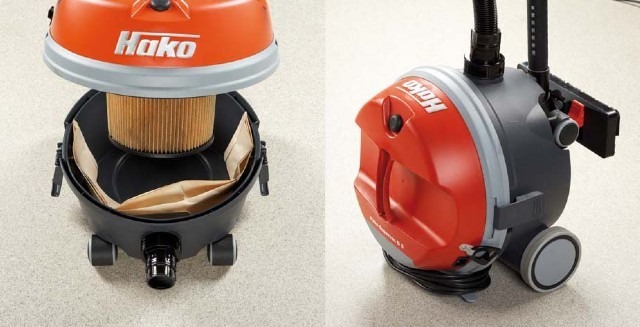 The suction power is infinitely variable and regulated directly at the handle. Therefore possible to vacuum curtains without issue. Removable power cable can be changed without tools.